The Tokyo International Film Festival (TIFF) is pleased to announce that we will be highlighting the work of emergent animation director Masaaki YUASA at the 31st TIFF, running October 25 – November 3, 2018. In the TIFF Animation Focus, we will showcase the work of Masaaki YUASA, who has been attracting recent international attention and awards within and outside of Japan. Yuasa has long been involved in popular animated series, such as Doraemon, Chibi Maruko-chan and Crayon Shinchan. His acclaimed 2017 film Lu Over the Wall won the Cristal Award at the Annecy International Animated Film Festival. 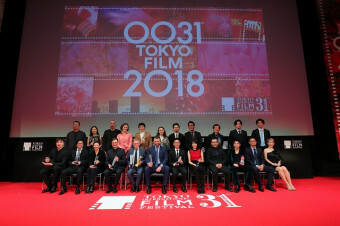 It was the first time in 22 years that a Japanese film received the top prize at the leading French festival, following Hayao MIYAZAKI and Isao TAKAHATA. Months later, his next original feature, Night is Short, Walk On Girl (2017) won the Grand Prize for Features at the Ottawa International Animation Film Festival, marking the first-ever win for a Japanese director. Yuasa’s increased international recognition has not only prompted widespread interest in his earlier work, but also given him a prominent role in both current and future anime culture. TIFF revived its Special Focus on Japanese Animation in 2014, to highlight innovative directors who have contributed to the phenomenal success of the industry. 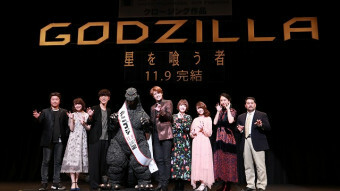 Acclaimed director Hideaki ANNO, the writer/supervising director of Godzilla Resurgence (2016), kicked off the special events. In 2015, we featured the Mobile Suit Gundam series, a monumental work of robot animation, and in 2016, showcased Mamoru HOSODA, whose latest film, Mirai no Mirai (Mirai), at the Cannes Film Festival’s 50th Directors’ Fortnight this year. To celebrate the 100th anniversary of Japanese animation in 2017, TIFF highlighted the work of Keiichi HARA, who won awards at Annecy International Animated Film Festival with his recent works, Colorful and Miss Hokusai. This year, our focus is on Masaaki YUASA, and we will be screening all his major films. I never imagined that there would be special screenings featuring my works and my name at an international film festival where films from all over the world are screened. I am honored to have such an opportunity, and also very surprised. 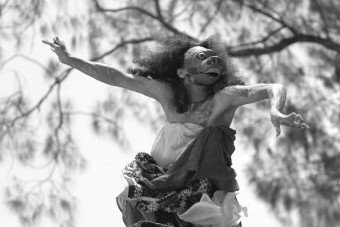 It is also a pleasure to see the work of the crews and casts who participated in the production of my past films. I appreciate that many people who haven’t seen my work before will have this opportunity to see them. I myself will also enjoy having the chance to look back over my past work. Masaaki Yuasa was born in 1965. He made his feature directorial debut with Mind Game (2004), and went on to write and direct many TV series. He directed one of the episodes of the animated American TV series Adventure Time in 2013 and was nominated for an Annie Award for Outstanding Achievement in Directing. 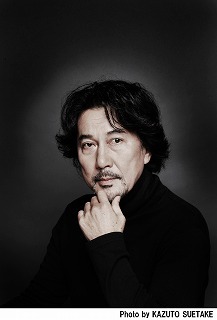 He founded the Science Saru animation studio in 2013. In 2017, his Night is Short, Walk On Girl won the Animation of the Year award at the 41st annual Japan Academy Prizes, and his latest film, Lu Over the Wall, won a variety of awards including the Cristal for a Feature Film at the Annecy International Animated Film Festival. The Devilman Crybaby series (2018) was distributed worldwide in January 2018 to rapturous reviews, attracting many fans around the globe with his unique vision.